Buying a car isn’t easy 5 Calculators to Decide If You Can Afford a New Car or House 5 Calculators to Decide If You Can Afford a New Car or House Taking out a loan can be a complicated procedure, but figuring out if it's a good idea in the first place can be even more difficult. Read More . Deciding on a make and model and searching your local dealers Here Is What You Should Know Before Buying Used Cars Online Here Is What You Should Know Before Buying Used Cars Online Online purchases aren't just limited to clothes, supplies and devices. Nowadays, you can even purchase your next vehicle right on the Web. But before you do, there are some things you should know. Read More for the right buy are tough enough, but the worst part comes when it’s time to decide on a price. How much should you negotiate and what have others paid for the same car? 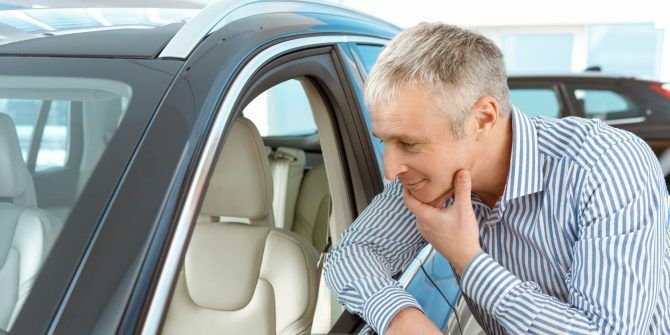 If you’ve ever asked these questions, you’ll be happy to know that TrueCar exists to answer them. Jump to the site, and you’ll see two big Shop New and Shop Used buttons depending on what you’re interested in. After choosing one, next click a brand, such as Ford or Toyota. Then, narrow down your search to a specific model, like a Taurus or Camry. Finally, enter your ZIP code and TrueCar will go to work finding data specific to your area. You may have to add some options, such as engine size or color, before you get to the final information page. Right away, you’ll see the MSRP (sticker price), estimated savings when using TrueCar, and the average price you can expect to pay with the service. Scroll down, and you can see what other buyers near you have paid for a similar car. Click View Pricing on Local Inventory to continue and view actual cars for sale in your area from certified dealers. If you just want more information, continue to scroll down! You can see the percentage of buyers who spent a certain amount on your car, giving you an idea of a fair price. TrueCar provides a wide range of photos for vehicles, as well as specs and a brief review. Another graph will show you how the market average for this car has change over the last few months. TrueCar is an excellent destination for anyone looking for detailed information about a car purchase. By learning information ahead of time and connecting with an authorized dealer, you can save money and time on your purchase How to Buy a Car on eBay Safely, Securely, and Without Losing Money How to Buy a Car on eBay Safely, Securely, and Without Losing Money eBay is a great place to look for money-saving deals on cars, but you should know what you're doing before embarking on this process. Read More ! Have you ever used TrueCar or a similar service? Tell us how you save money when buying cars by leaving a comment!